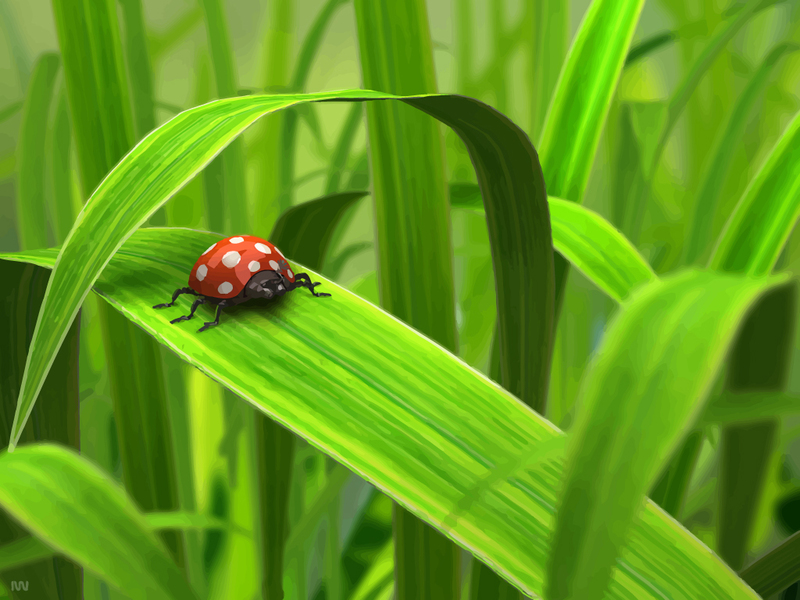 Free micro cosmos vector wallpaper with ladybird walking on grass. Cool abstract, animal, nature beauty, grass backdrop, environment, garden, insect, ladybird, ladybug, micro macro outdoors, spring summer vector wallpaper. Download free nature wallpaper in vector art format. All images are copyright of the respective owners.